Professor Bostrom has previously held positions at Yale University and as a British Academy postdoctoral fellow. 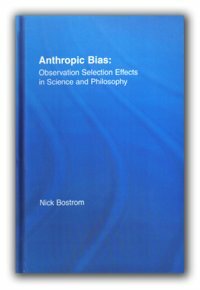 His doctoral dissertation, which was selected for inclusion in the Outstanding Dissertations series by the late Prof. Robert Nozick, developed the first mathematically explicit theory of observation selection effects. He has published more than 200 articles in both philosophy and physics journals, and has co-edited volumes on Human Enhancement (Oxford: OUP, 2009) and on Global Catastrophic Risks (Oxford: OUP, 2008). 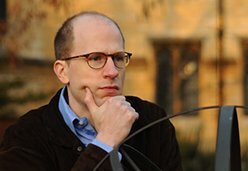 In 2009 Nick Bostrom was named one of the Top 100 Global Thinkers in Foreign Policy Magazine and also won the inaugural 2009 Eugene R. Gannon Jr. Award for the Continued Pursuit of Human Advancement. Was the Universe made for us? It appears that there is a set of fundamental physical constants that are such that had they been very slightly different, the universe would have been void of intelligent life. It's as if we're balancing on a knife’s edge. Some philosophers and physicists take the 'fine-tuning' of these constants to be an explanandum that cries out for an explanans, but is this the right way to think? The data we collect about the Universe is filtered not only by our instruments' limitations, but also by the precondition that somebody be there to “have” the data yielded by the instruments (and to build the instruments in the first place). This precondition causes observation selection effects - biases in our data that may call into question how we interpret evidence that the Universe is fine-tuned at all. Listen to Nick Bostom talk on the possible existence of life on Mars by clicking on the image below. Watch Nick Bostrom's discussions on Closer to Truth , a TV series that discusses Cosmos, Consciousness, and God. What is the Doomsday Argument? What is the Far Far Future of Humans in the Universe? Must the Universe Spawn Life and Mind? What does a Fine-Tuned Universe Mean? © 2012 Nick Bostrom. All rights reserved.